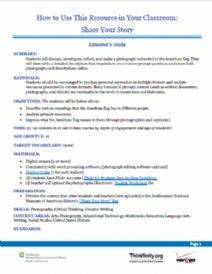 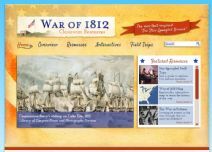 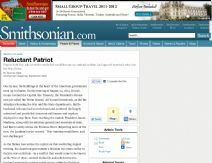 This searchable site from Thinkport/Maryland Public Television offers lesson plans and interactives on the War of 1812 from the National Park Service, Star-Spangled Banner Flag House, and related historic sites. 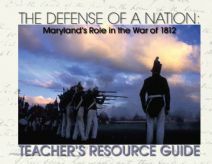 In this interactive from Fort McHenry National Monument and Historic Shrine, students are introduced to characters and issues from the War of 1812 and are invited to cast their vote on going to war. 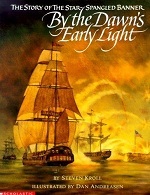 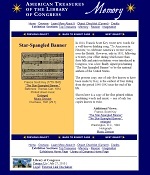 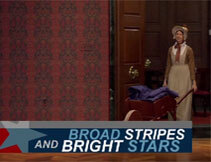 Historic illustrated story of Francis Scott Key's creation of what would become the U.S. National Anthem. 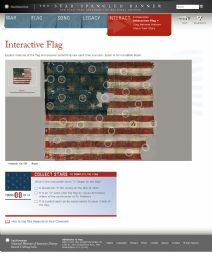 This is a story of the Star-Spangled Banner through the eyes of young Caroline Pickersgill, the daughter of an important flag maker, Mary Pickersgill.